Humble Strategy Bundle 2019 Has Launched! 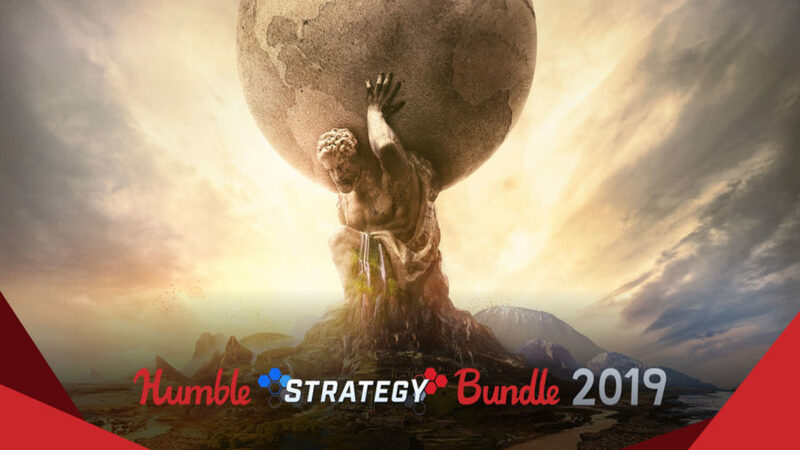 Get various strategy games such as Civilization VI, Plague Inc, and more in this Humble Strategy Bundle 2019. An indie development company has come up with a soviet-themed city building simulation to transform your own Soviet Republic to a rich industrial superpower. Epic Games is giving The Jackbox Party Pack for free on their site, a perfect game when doing hanging out with family or friends. Customers who pre-order PC version of Tropico 6 will get exclusive closed beta access on Kalypso website. The original “The Escapists” is going to be released on Nintendo Switch with all of its DLC this September! Original Valkyria Chronicles is heading to Nintendo Switch this Fall! The first installment of Valkyria Chronicles series reports for duty on Nintendo Switch! Get 25% off by getting Valkyria Chronicles 4! Jujubee’s streamlined real-time grand strategy game, Realpolitiks, is now available on Nintendo eShop for the Nintendo Switch. Fans can now wishlist, and eventually pre-order this post-apocalyptic RPG gem, Wasteland 2: Director’s Cut, on Nintendo eShop. This is the Police 2 is coming out to consoles soon! After a successful launch on PC, consoles will get their hands-on This is the Police 2 next month. Lead the expedition and make tough decisions that will shape your mission in Warhammer 40,000: Mechanicus! You may now pre-order the game. Surprise! Endless Space 2 and Endless Legend are both getting major expansions respectively. Here are all the details for Endless Space 2 Supremacy, and Endless Legend Inferno. The wait is over! 1C Company officially launches Ancestors Legacy, a squad-based RTS game, on PC.